Welcome to Digital Digest! We're on the last day of summer and fall is mere hours away, but for all four seasons, we're here with all of your news, reviews, and more, including a review this week of CSI: Crime Scene Investigation - The Thirteenth Season. Let's get going! An annual tradition for the past decade at the website Television Without Pity has been their Tubey Awards, where fans get to honor the best (and worst) of television. This week, the winners of the 2013 Tubey Awards have been announced. Among highlights in the sitcom world, Parks & Recreation won the award for Best Comedy (both among fans and the TWoP staff), New Girl won the award for Best Broadcast Network Series among fans, Two and a Half Men and Glee won for Worst Returning Series (and that isn't the only depressing award it earned), and Community won for Most Disappointing Season of a Previously Awesome Show. You can check out the complete list of winners (or losers, in some cases) in over 100 categories, including seeing what fans really think about Snooki, Jwoww, and Honey Boo Boo, by checking out the page for the Tubey Awards. We've known that we would be seeing more of The Carol Burnett Show on DVD in the form of StarVista's upcoming release of The Carol Burnett Show - Christmas with Carol, but it appears that there will be a slight delay in the release. 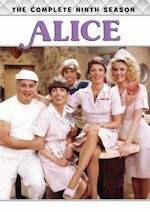 According to TVShowsOnDVD.com, the release will be coming on November 12. Of course, this release will be available on store shelves, and we hope to have a review of it once it is available. 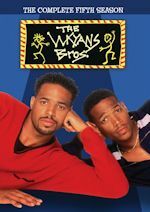 We normally wouldn't cover a whole lot of dramas here, much less teen dramas, but sometimes exceptions have to be made, especially when it is an older one that many people remember and it hasn't been seen much at all in recent years. 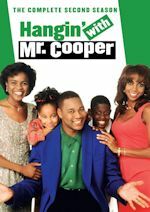 This week, we stumbled upon an interesting new addition to Hulu for those who grew up watching Nickelodeon (or perhaps YTV in Canada) in the early '90s. It appears that the series Fifteen (called Hillside in Canada) is now available to stream for free on the service. The series followed a group of high school students at the fictional Hillside High School as they dealt with very difficult issues in their lives. There were 65 episodes, and oddly enough, the first fifteen are available on Netflix, as part of their collection of series from the Peter Rodger Organization. Tuesday (September 24) is an incredibly busy day for DVD releases as studios scramble to get everything released in time for the new fall season. First up, Fox has Modern Family - The Complete Fourth Season (DVD, Blu-ray). We also get to see the debut of Neighbors on DVD with Neighbors - The Complete First Season. CBS sitcom staples are also on the horizon with 2 Broke Girls - The Complete Second Season and Two and a Half Men - The Complete Tenth Season. Finally, there are plenty of animated comedies, with South Park - The Complete Sixteenth Season (DVD, Blu-ray), Family Guy - Volume Eleven, and American Dad! - Volume 8. CSI: Crime Scene Investigation - a four-time People's Choice Award winner and recipient of multiple Emmy Awards continues reaching new heights as television's premiere procedural thriller. Under the leadership of D.B. Russell (Emmy winner Ted Danson), the Las Vegas Police Department's CSI night shift explores twisted crimes with their inquisitive minds and cutting-edge science. Unorthodox maverick Julie Finlay (Oscar nominee Elisabeth Shue) and seasoned investigators Nick Stokes (George Eads), Sara Sidle (Jorja Fox) and Greg Sanders (Eric Szmanda) passionately follow the evidence. Wherever it leads, they can count on the forensics and detective work of the rest of the team (including Paul Guilfoyle, Robert David Hall, Wallace Langham, Elisabeth Harnois, David Berman and Jon Wellner). Fascinating, shocking, and always entertaining, CSI invites you to follow the clues. The 6-disc set contains all 22 nerve-wrecking episodes from the thirteenth season (2012-13) season of the long-running crime drama. It also features the special CSI: NY crossover episode with Gary Sinise. The episodes are presented in anamorphic widescreen enhanced for 16:9 TVs. The audio options include English 5.1, English Stereo and Spanish Stereo. It has a total running time or approximately 15 hours, 49 minutes. The attractive packaging follows the style of the previous two seasons, with a thin outer cardboard box and clear plastic snapcase. Elisabeth Shue, Ted Danson and George Eads are featured on the front cover, with some Las Vegas buildings at the bottom. There is an embossed CSI: Crime Scene Investigation logo in the center of the box. The outer cardboard box and inner keepcase have the same design and photos. A clear plastic snapcase slides out from the right of the outer cardboard box. The thirteenth season cast (minus new series regular Jon Wellner) is featured in a montage of photos on the back of the box/case. A short synopsis of the set, a listing of the special features and the DVD specs are provided. Opening up the snapcase, there is a content locator which lists the episodes and the special features on the inside cover. The discs are very plain looking, with just a silver background and the CSI logo on them. Episode titles and the special features are listed on the discs. The menus are simple and easy to navigate. There are no previews on this release, so it jumps right to the main menus. The main menu opens with a montage of video clips from the show. There are a couple of nice instrumental cues playing in the background. The sequence loops after about a minute. Options for Episode Selection, Set Up and Special Features (on select discs) are available at the bottom of the screen. When you choose Episode Selection, there is a different transition sequence on each disc. The episode titles are listed vertically in blue boxes. You can play the deleted scenes for selected episodes from this menu. English 5.1, English Stereo or Español audio options are available on the Set Up menu that features Ted Danson. Subtitles for the deaf and hard of hearing are available on the episodes. English subtitles for the deaf and hard of hearing and Spanish subtitles are available on the special features, except for the audio commentaries. As you would expect from such a recent show, the video and audio quality is outstanding. They do a lot of nighttime shooting and make the show look dark and like a theatrical film. There is no disclaimer on the back of the box about any of the episodes possibly being edited or any of the music being changed. Episodes are presented in their original broadcast order and numbered by the production number. The broadcast and production order was the same for this season. Running times are between 42-43 minutes in length. Hopefully we'll see some seasons released on Blu-Ray in the U.S. at some point. Deleted Scene for "Wild Flowers" (2:03) - Greg tries to cut a bullet out of a tank. Julie comes in and tries some other methods to open it. They analyze the bullet in the lab. Tennis, Anyone? (5:57) - Go behind-the-scenes and meet the real-life tennis pros Chris Evert, Lindsay Davenport and Justin Gimelstob who make their debut in the episode Double Fault. Interviews include Executive Producer Don McGill, Elisabeth Shue, Co-Producer/Director Bran Tanenbaum, Robert David Hall, Justin Gimelstob, Lindsay Davenport, Co-Executive Producer Treena Hancock, Co-Executive Producer Melissa R. Byer, Chris Evert and David Berman. They talk about how they wanted to do a tennis episode, how Elisabeth Shue is an accomplished tennis player, and how they shot the tennis match in the opening scene. Deleted Scenes (2) for "Forget Me Not" (2:39) - A flashback scene with Sara and Ronald. Sara visits her mother at the hospital. 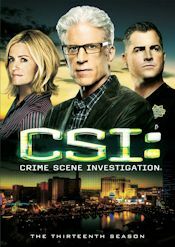 A Tale of Two CSI's (12:12) - Follow stars Gary Sinise to CSI and Ted Danson to CSI: NY to as they recount their experience shooting the crossover episode In Vino Veritas. Interviews include Executive Producer Don McGill, Co-Executive Producer Rick Eid, Gary Sinise, Ted Danson, Elisabeth Shue, Wallace Langham, Supervising Producer of CSI: NY Bryan Wynbrandt, Supervising Producer of CSI: NY Steven Lilien, Director of "Seth and Apep" Eric Laneuville, Sela Ward and Eddie Cahill. They talk about ideas for the crossover episode, the logistics of shooting and writing the episode, the twist of the episode, the story of Seth and Apep, and the CSI: NY cast working with Ted Danson. Deleted Scene for "Last Man Standing" (:39) - Nick tries to rescue Jimmy. Deleted Scenes (3) for "Sheltered" (3:06) - A night vision type scene around a camp fire. Henry examines some evidence. Hodges talks to Henry. Sara and Julie talk. Deleted Scenes (4) for "Ghosts of the Past" (2:55) - Nick talks to Hodges while they watch some videos. Greg and Morgan walk and talk. Sara receives and opens an envelope. Nick and Julie walk and talk. Deleted Scenes (2) for "Skin in the Game" (1:38) - Brass and Morgan talk. He shows her a picture of Ellie. Brass talks on the phone and receives something from Nancy. Chapter 13 (25:57) - Executive Producer Don McGill and the cast of CSI discuss the character arcs and storylines that made season 13 one to remember. Interviews include Executive Producer Don McGill, Ted Danson, David Berman, Elisabeth Shue, George Eads, Jorja Fox, Elisabeth Harnois, Paul Guilfoyle, Eric Szmanda, Wallace Langham, Robert David Hall and Jon Wellner. This is the longest featurette on the set and provides a good general overview of the season. They talk about many topics: Russell's story arc, Finlay's story arc, Nick's struggles, Sara and Grissom's relationship, Brass and his daughter Ellie, Greg's interest in Vegas history, Morgan's relationship with her father, the relationship between Morgan and Hodges, Hodges and his fiancée, Dr. Robbins' highlights, David Phillips attending his high school reunion, and the comedy of Henry and Hodges. The Extended Family (10:32) - Meet the CSI family members you don’t get to see on a weekly basis, but who keep the home fires burning while the investigators are out solving crimes in Las Vegas. Interviews include Executive Producer Don McGill, Ted Danson, Peri Gilpin, Brooke Nevin, Brandon Jones, Elisabeth Shue, Jorja Fox, David Berman, Marcy Rylan and Co-Producer Tom Mularz. They talk about D.B. 's family life, Finlay's life in Seattle and her ex-husband, Sara's mother, and David Phillips' wife and his fatherhood. Drawing Blood (6:49) - Meet the experts behind the bloody crime scenes and learn what it takes to create the realistic blood evidence seen on television. Interviews include Executive Producer Don McGill, David Berman, Wallace Langham, Consulting Producer Elizabeth Devine, Elisabeth Shue, Property Master Michael Lindsay, Paint 1st Lead Scott "Scotty Blood" Williston and Eric Szmanda. They talk about how Finlay is a blood splatter expert, how the scenes were shot, how they do the analysis, and how they make the blood. Providing Food and Shelter (10:07) - Join Executive Producer and Director Louis Milito and Production Designer Daniel Novotny on a tour of the sets of Cold Blue Plate Special and Sheltered, and watch Stage 22 transform from a diner into an underground bunker. Interviews include Executive Producer Don McGill, George Eads, Jorja Fox, Ted Danson, Elisabeth Shue, Executive Producer/Director Louis Shaw Milito, George Eads and Production Designer Daniel Novotny. They talk about how they created the underground bunker and how they created and shot on the Frank's diner set. It's amazing how they are able to transform and build these sets in about a week. Observing the Sabbath (3:50) - Meet legendary rockers Ozzy Osbourne and Black Sabbath in Las Vegas as they make their special guest appearance on the season finale Skin in the Game. Interviews include Executive Producer Don McGill, Producer Phil Conserva, Bassist Geezer Butler, Guitarist Tony Iommi and Singer Ozzy Osbourne. They talk about the idea of the episode, how Black Sabbath wanted to debut a song on the series, and Black Sabbath's thoughts on working in the episode. I like how they included subtitles for what Ozzy said. Black Sabbath - End of the Beginning (Music Video) (8:17) - Watch the extended/uncut version of the Black Sabbath performance of End of the Beginning from the finale Skin in the Game. Anatomy of a TV Hit: CSI: Crime Scene Investigation (19:33) - Hear from show creator Anthony E. Zuiker, CBS executives Leslie Moonves and Nina Tassler, as well as Executive Producers Carol Mendelsohn and Ann Donahue about the beginnings of the CSI franchise, and how the show has forever changed the landscape of network television. Interviews include Creator/Executive Producer Anthony E. Zuiker, Executive Producer Jonathan Littman, Executive Producer Jerry Bruckheimer, President CBS Entertainment Nina Tassler, President & CEO CBS Corporation Les Moonves, William Petersen, Executive Producer Cynthia Chvatal, Executive Producer Carol Mendelsohn, Executive Producer Ann Donahue, Director Danny Cannon and Marg Helgenberger. This featurette doesn't really focus on any of the thirteenth season, but it does provide a good overview of the origins of the series. It looks like something that could have been put together before the start of thirteenth season. This was a very stable season of the show. There were no new characters and no characters leaving the series. They just delved more into the character's personal lives and story arcs this season. While I miss the original cast members, Ted Danson and Elisabeth Shue have done an admirable job. They have fit in well with the rest of the team and breathed some new life into the series. The show has lost some viewers the last two seasons, but they are still a top 25 hit. Only the original CSI: Crime Scene Investigation remains from the CSI franchise. There hasn't been any kind of announcement of the show ending, so hopefully they have a few more seasons left in them. It would nice to see to get to at least a fifteenth season. Memorable episodes this season included Cold Blue Plate Special, Wild Flowers, It Was a Very Good Year, Play Dead, Fallen Angels, Dead Air, and the CSI/CSI NY crossover episodes In Vino Veritas and Seth and Apep. 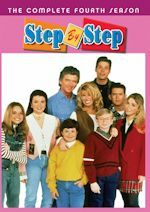 Notable recurring and guest stars included Peri Gilpin, Enrique Murciano, Arye Gross, Michael Gross, Pamela Reed, Mark Moses, Chris Evert, Lindsay Davenport, Justin Gimelstob, Kay Lenz, David Cassidy, Eric Roberts, Tim Matheson and the members of Black Sabbath. Overall, this is a very solid release with the usual number of excellent special features. I always find the "making of" featurettes the most interesting. They do some amazing work on a weekly basis. It was also nice to see them include a third audio commentary and a few more deleted scenes for this release. Season 14 premieres on CBS on Wednesday, September 25 at 10pm ET/PT. Who to Follow: Lisa Whelchel (Twitter), "Actress, Author, Speaker, Mom"
Claim to Fame: Most people may not realize it, but Whelchel actually got her start on The New Mickey Mouse Club in the late '70s. However, she truly came to fame in the '80s with the NBC sitcom The Facts of Life, where she played the somewhat snobbish (but loveable) Blair Warner. Since the series ended, she hasn't done a whole lot on TV (aside from appearing in Survivor: Philippines), but she has been living life as a motivational speaker and author, as well as raising three children... and is very much satisfied with where she is in life, even if there have been a few hiccups along the way.